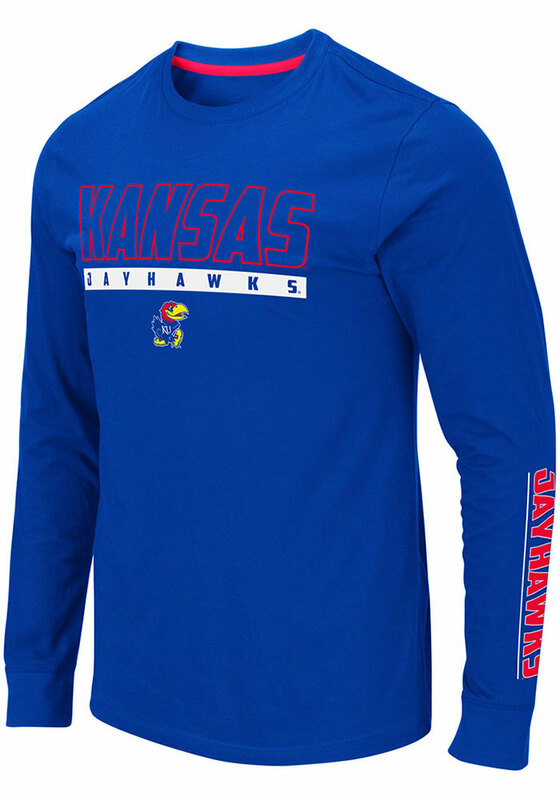 Show off your team pride in this Kansas Jayhawks Blue Guam Long Sleeve T Shirt! This KU Jayhawks Long Sleeve Tee features a team name and mascot in rubbarized scren print on front chest with team mascot name on left sleeve. Make sure everyone knows you root for the Jayhawks with this Blue KU Jayhawks T Shirt. Rock Chalk Jayhawk!